WASHINGTON — Cooperation from both private sector and federal partners can ease the process for states that are in the midst of adopting automated technology, according to Washington State Transportation Secretary Roger Millar. Speaking about automation alongside a group of panelists at the Transportation Research Board’s annual meeting Jan. 14, Millar said educational materials and communication would help bring state, local, federal and private entities to the same page. He also said coordinated efforts to adopt automated technologies can benefit freight haulers. Lack of available truck parking ranked No. 5 on the American Transportation Research Institute’s list of industry concerns. Millar told Transport Topics that WSDOT conducted a statewide analysis of truck parking needs and made a brochure containing truck parking information for people in the industry. However, he said he would like to explore the issue further. As chair of the American Association of State Highway and Transportation Officials’ Special Committee on Freight, he said truck parking is top of mind. We’re trying to build that common platform so that we can build consensus [on autonomous technology]. Coordination and outreach between partners shouldn’t overlook members of the workforce, according to Millar. He said discussions involving automated technology should engage labor, such as Teamsters, and public employees. He said such communication is key so people know what impact technologies will have on them. “If you don’t do stuff with people, they assume you’re doing it to them,” Millar said. During the session, representatives from the Federal Highway Administration charted the ongoing discussion regarding automated technologies. FHWA hosted a National Dialogue on Highway Automation over the course of 2018. The initiative involved six meetings held across the country in which participants shared information about autonomous vehicles and encouraged collaboration. In various cities, FHWA met with representatives of original equipment manufacturers, technology suppliers, transportation network companies, trade associations and public-sector agencies. The ideas generated at these meetings will be used to shape national research initiatives and policy. Catherine McGhee, director of the Virginia Department of Transportation’s Research Council, also stressed the need for public outreach, communication and education at the state level. McGhee said VDOT is planning to host similar dialogue sessions. The U.S. Department of Transportation as a whole has demonstrated a focus on autonomous vehicles. Transportation Secretary Elaine Chao unveiled AV 3.0, the agency’s policy update of autonomous vehicle technology guidelines, on Oct. 4. 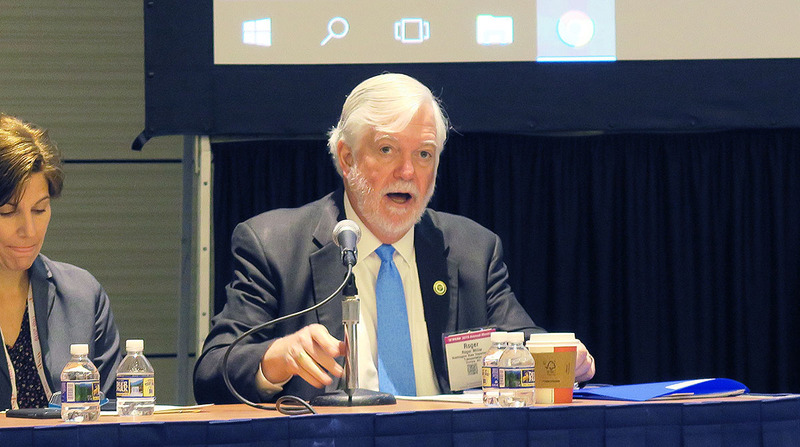 According to John Harding, FHWA Connected and Automated Vehicles and Emerging Technologies team leader, the guidelines prioritize safety and aim to modernize regulation while remaining technology neutral. Martin Knopp, associate administrator for operations within FHWA’s Office of Operations, said the automation workshops have been beneficial but should extend into the future.